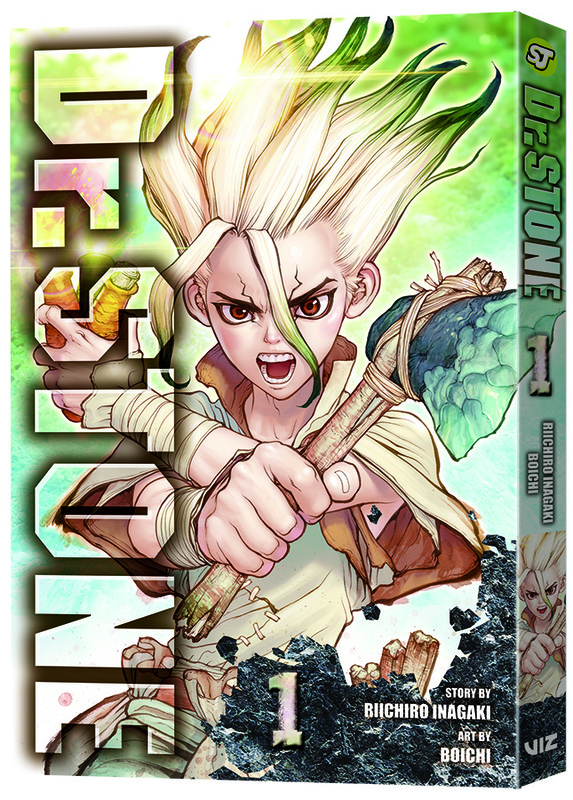 San Francisco, CA, August 8, 2018 – VIZ Media, LLC (VIZ Media), a premier company in the fields of publishing, animation distribution, and global entertainment licensing, delivers the new dystopian manga adventure DR. STONE on September 4th. DR. STONE is written by Riichiro Inagaki (EYESHIELD 21) with art by Boichi. The series is rated ‘T’ for Teens and will be published in print under the Shonen Jump imprint with an MSRP of $9.99 U.S. / $12.99 CAN. 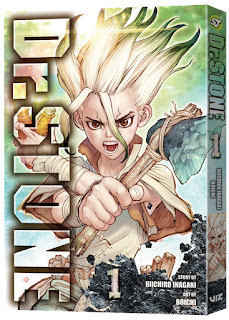 DR. STONE also launches digitally on September 4th via viz.com and the VIZ Manga App, as well as from the Nook, Kobo, Kindle, iBooks, comiXology, and Google Play stores. Future volumes of the series will be published on a bimonthly basis.